Michelle believes that there is a dream within us all that longs for home ownership. As a little girl, she remembers day dreaming about what her future home would look like. Even her bedroom as a young girl was something she took pride in, as it was truly hers and a reflection of herself. Michelle has always had a love for helping others and a passion for real estate. She holds a Bachelor of Arts degree in Psychology from The University of Western Ontario and Public Relations Post-Graduate degree with honours from Humber College. She has spent the last eight years travelling internationally as a commercial flight attendant experiencing styles of living in a variety of different countries. Born and raised in the HRM, Michelle is well aware of the many gems and hidden treasures that our beautiful province has to offer. Michelle has always approached life with honesty, sincerity and commitment. She understands the importance of listening to clients as well as being patient with them, especially when making big life decisions. She is responsive and willing to work hard with you to keep your needs and desires at the highest priority. She would love to earn your business and referrals through the care, attention, respect and trust that is evident in her work. 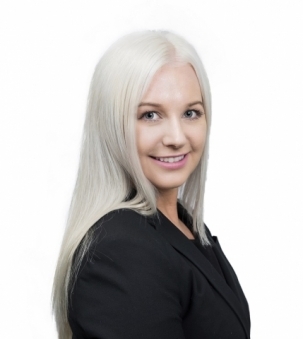 Michelle is energetic, eager and dedicated to providing her clients with exceptional service. On her days off, Michelle enjoys spending quality time with her friends and family in the city and at her south shore cottage. She is a competitive figure skater and recently traveled to Germany to skate internationally. Let Michelle help you find your home sweet home!